Do not read this post unless you want more customers or clients via your website. Great, let’s talk about how we can make your website a customer generating machine! The problem with many websites out there (and probably even yours) is that it was built as either a graphic design masterpiece to show off your designer skills, or as a hastily put together after-thought in a rush to start your business. So, in an effort to take you from “meh” to “OMG – I can’t believe these customers are calling me”, let me show you how to refocus your website into a customer-luring siren song! Every website needs a solid foundation. Just like your house, there is no point painting the walls if you built it on quicksand. Same goes with a website. There is no point having someone pay your website a visit if they are only going to leave minutes later, often unsatisfied. If you want to show potential customers that you are serious about your business, you need to present a professional face to the internet. This means having your website professionally designed or, at the very least, looking that way. If you owned a brick and mortar business, you wouldn’t let a novice paint your store front. It’s too important – you would want to make sure it was done right. Well, your website needs a professional coat of paint too! You won’t get a second chance to create a great first impression, right? And this post from ConversionXL shows that first impressions are 94% design related. So make sure yours is up to scratch! Tip: If you’re using WordPress as your website builder, check out ThemeLab. They build good-looking, high-quality themes for WordPress that are easy to use. Like a fine-tuned car, a website needs to be maintained and tuned to run optimally and avoid hiccups. Although this may not seem that important, a lot of the things you do to keep a website running actually impact your visitors as well. Imagine if your ecommerce store was down for an hour? This is where your navigation and links in places like the sidebar and footer come into play. You need to ensure the most important pages on your website are easy to find. 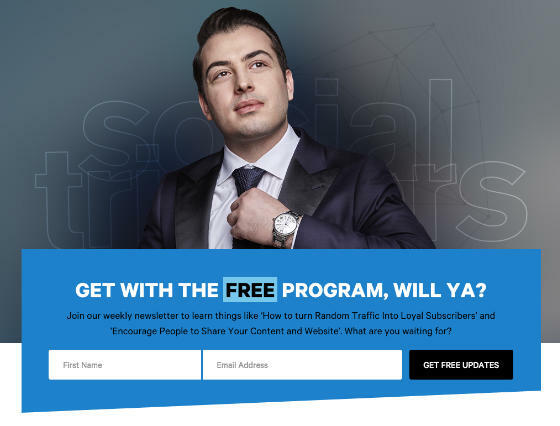 Things like your contact page, your product or service pages, or any other pages of primary importance in generating income (or leads) for your business need to be super easy to find. Don’t assume someone will go hunting. It ain’t duck season, it’s a business. As you can see, each important element – from OptinMonster’s list of features, to its pricing information, to its blog – is easy to find. Many of the above points may not seem like they have anything to do with conversion, but think about it: If your website doesn’t look great or load fast, you are going to lose your potential customers before they even start getting to know you. So, a solid website foundation is crucial to your success online. Understanding that your website is there to get people to fulfill your main business goals is the key to your online success. Sure, your website needs to look great and run smoothly, but layered on top of that is something I will call conversion-focused design. Sounds pretty complex, huh? But it actually is not that hard (once you know what it means). The idea is simple: always keep in mind you are trying to get your visitor to a specific goal (or goals) on your website. What those goals are depends on you and the type of website you have. So, now that you see what kinds of goals you may have, how do you get users to them? The easiest way is with a call to action. One of the best places to grab people’s attention is in the first section of your homepage (the most visited page on your website). Often, this is called the hero section of your website as it showcases your hero. No, not superman– a product, service, or offering! One of the best examples of this on a blog is Derek Halpern’s Social Triggers. He has been promoting this idea for a long time, and his latest version is very sleek indeed. Obviously, these examples are focused on email lists, but you can take the ideas and tweak them to your business goals quite easily. A lot of people think search engine optimization is all about Google (and Bing). That certainly used to be true, but the search algorithms have changed so much in recent years that the tables have truly turned. Today, SEO is all about your visitors. Which is perfect for making more sales too! So, when we talk about keeping search engines happy, we are actually referring to your visitors/customers too. There are a lot of factors that come into play on a website to make your search engine dreams come true, but they are all worth it in the long run. We have touched on a few of them in the first section, by taking care of your website fundamentals, but now, let’s dive a bit deeper. Last year mobile search overtook desktop search. And, Google made it very clear mobile is critical to search when they released their mobile website tester. This test can quickly tell you whether your site will look good, and function well, on a mobile device. So, if you are not sure about your site, give it a try now. If the results are negative/red (and you have checked it on a few phones too) think about having this issue solved ASAP. Note: It also depends on how many mobile visitors you actually get, so check your analytics too. Even if you are not an SEO expert, it is worth spending an hour or so learning how to tweak your website to get the most search engine traffic. This is what we call on page SEO, and this article from Brian Dean of Backlinko will show you what a perfectly optimized page looks like. This may seem like something really small and not worth your time. However, I have worked with clients who have achieved 20% traffic increases in one month from these kinds of simple changes. 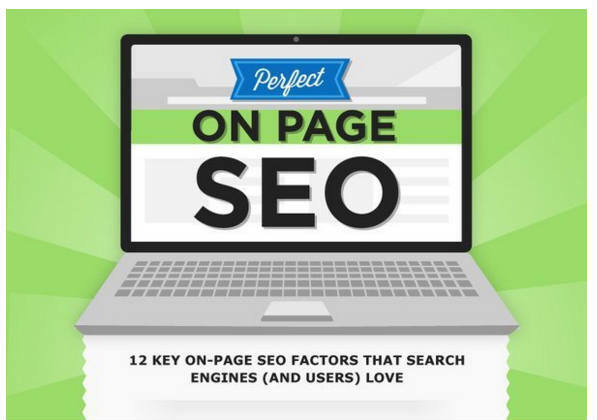 So, ignore on page SEO at your peril! Your email list is actually one of your most important business assets aside from your website (or store, if you have one). The reason for this is that it gives you direct access to the inboxes of the people who have given you permission to contact them via email. Not only that, but according to this Econsultancy survey email is one of the most effect sales channels there is. So, although you may be having a lot of success with your shop, your website or your offline networking, it is always worth building your email list. Even if it is just for a rainy day (when all your other marketing channels dry up – no pun intended). Just make sure your offer is helpful, actionable, and solves a common problem most of your potential customers will have. However, always leave them wanting a little bit more and suggest they get in touch if they need further help. After all, that “further help” could mean using your services or products. Another trick to using an email list effectively for growing your customer base is to continuously feed it with new content. That might mean a weekly newsletter, previous blog content, helpful tips and case studies (all thrown in a handy autoresponder series). The idea is to build trust, show expertise, and demonstrate you understand your customer’s problems. Eventually, it will lead them right back to your door. Luckily, there are many helpful tools for getting people on your email list. OptinMonster is a great and cost-effective solution. With features such as Exit-Intent Technology, the Floating Bar, a drag-and-drop form builder, MonsterLinks, and Mobile-Friendly Popups, OptinMonster has a solution for every list-building need. The other part of this puzzle is to get yourself an email management system, which is usually online. (Don’t think you can maintain it in your contacts, it won’t work). 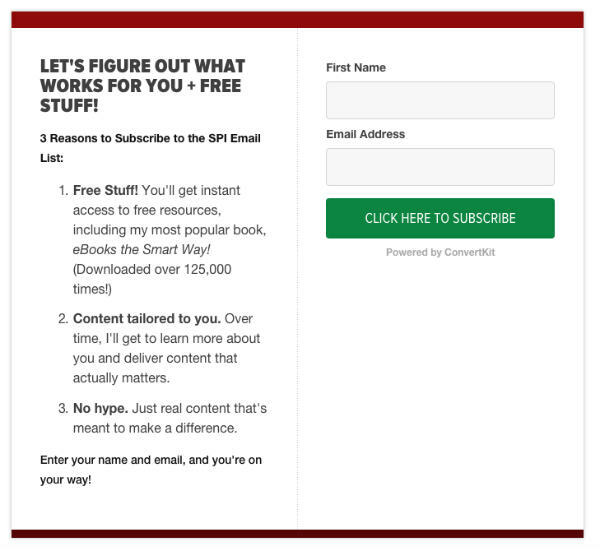 Free tools to start with include: MailChimp or Mad Mimi. Others to consider include: Aweber, ActiveCampaign, and ConvertKit. You’ll also need a place to host your site. Bluehost is a very popular website hosting service, but if you’re looking for something else, here are our picks for Bluehost alternatives in 2019. Now that you have some ideas on how you can improve your website and get more customers, it is time to take some action. Take one step at a time, always improving and watching out for ways to make your website better, faster, more goal-focused and customer-helping! Ashley is the founder of Mad Lemmings, a website dedicated to helping solopreneurs and small businesses build booming online businesses via their stunning websites, amazing content and powerful SEO techniques. When not chained to his desk, he can be found in the swiss alps doing dangerous sports. 1. Who do you want coming to your blog? 2. Why do you want them to come? 3. What is it they’re going to get out of coming to your blog? In short, what’s the right kind of traffic for your blog? You need to know this before you can make your blog successful at bringing in readers, subscribers and income. Knowing what people want and what they’re looking for when they land on your blog will help you design your blog in such a way that it tells visitors they’ve come to the right place. Know what the right kind of traffic is for you and these 4 easy ways will rock your blog’s conversion-power. All good solid tips here with some good data to back them up. I like your advice at the end where you propose that we should tackle one thing at a time to gradually build our website masterpiece.